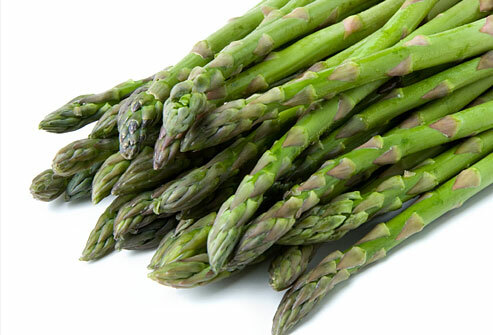 Asparagus is part of the Lily family and has been considered a delicacy since ancient times. 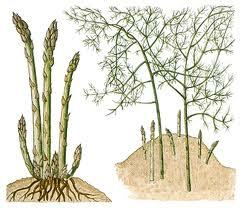 Wild asparagus has a long history of use in India and other parts of Asia as a botanical medicine. 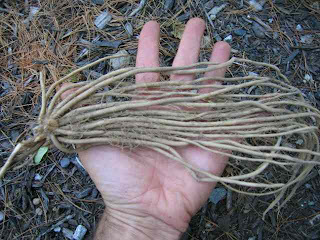 Asparagus spears grow from a crown such as this that is planted about a foot deep in sandy soil. 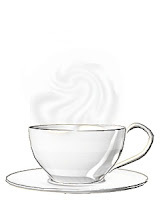 Each crown will send up spears for about 6 to 7 weeks during the spring and early summer months. After harvesting is done the spears grow into ferns which produce berries and nutrients necessary for the next season's crop. Unfortunately if you are in a hurry for your own asparagus you will be dissapointed because asparagus is not harvested for the first 3 years after the crowns are planted. 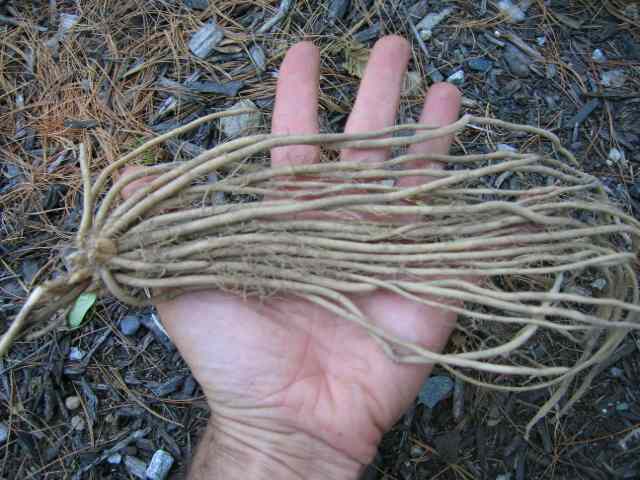 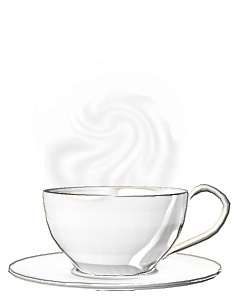 This allows them to develop a strong fibrous root system. However, once they start to produce, a well cared for asparagus patch will give you a nice crop for about 15 years before you need to replant it. 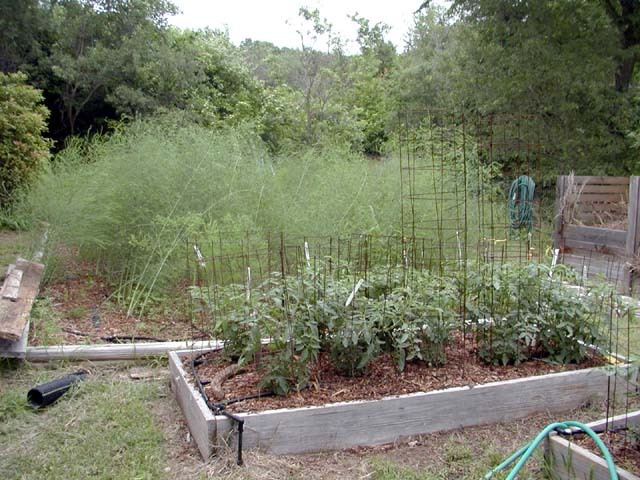 Since asparagus is not planted like other garden vegetables, I think especially in this case a few videos can be very helpful. 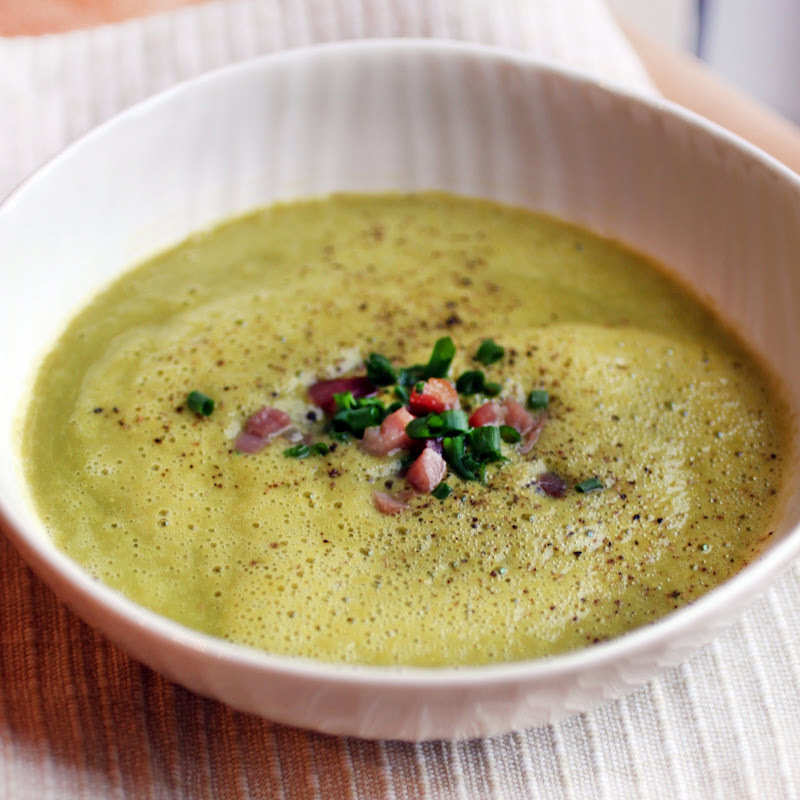 Since asparagus is a spring vegetable, asparagus soup can really hit the spot on those still cold spring nights. 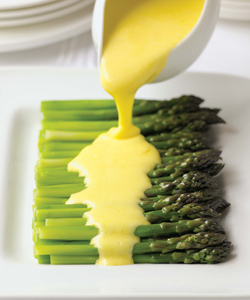 Asparagus with hollandaise sauce is a traditional way to serve asparagus that makes a great side dish, especially for grilled or pan fried meat, poultry or fish that tend to not have any other sauce. 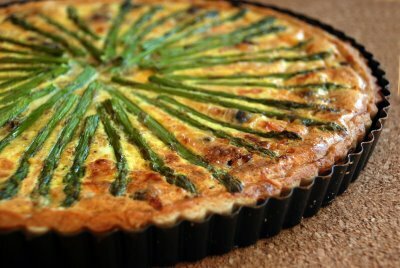 And asparagus and smoked salmon quiche is a treat I look forward to every year. 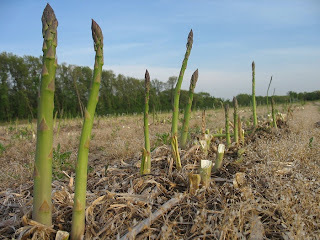 Look for another great asparagus recipe tomorrow, meanwhile here is today's inspirational garden from rneuhaus.com who have an amazing asparagus bed.